Over the past few weeks, fourteen new trees have been planted at the STEF site. Each species of tree was carefully chosen to be eco-friendly, to benefit the site for the elephants, and to attract native wildlife. the overall beauty of the area while providing vital shade for the elephants. In the north-east corner of the site, which is at an elevated level, and where the elephants and mahouts will reside, rain trees (Albizia saman) have been planted in order to create large areas of shade, which are important for the elephants to keep cool as they do not sweat through their skin. 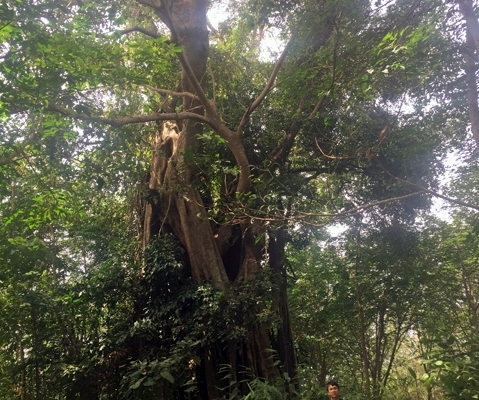 A rain tree grows in a dome shape with a spread of up to 20-30m wide, as well as reaching some 30m in height, providing the elephants with the perfect umbrella needed in Southern Thailand’s rainy season. Finally, a Banyan tree was planted in the far north east corner of the site, next to the future location of the elephant hospital. 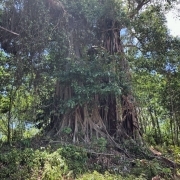 The magnificent Banyan tree is not only beautifully alluring for visitors, and impressive in structure, but has cultural and spiritual significance to the area, as legend has it that a spirit is released when a Banyan tree falls and a replacement needs to be planted for the lost spirit to dwell. 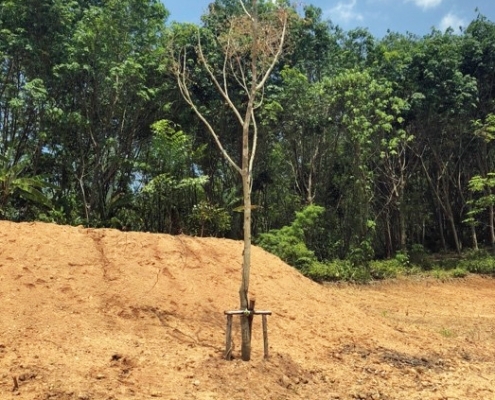 Workers at the site have claimed to see the mysterious spirit already and hold the newly planted sapling in high regard. 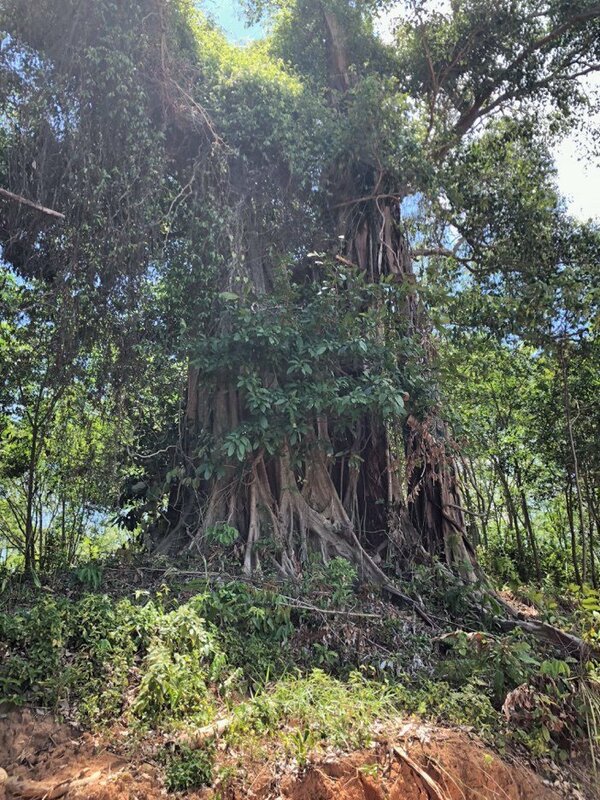 Here is a photo of our existing old Banyan tree and you can just make out Jake’s head at the bottom of the picture standing below it’s vast trunk. 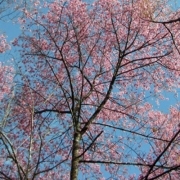 Can you help us with the costs of these wonderful trees that will survive for generations? If you can, please click here.The work of planting these new trees was completed by a team of only five, as well as one of our trustees, Jake, in the scorching heat just before the rainy season.